LEWISBURG — Two residential projects are wrapping up in Lewisburg. In the pictures above, you can see a beautiful outdoor space built by T-Ross Brothers Construction. 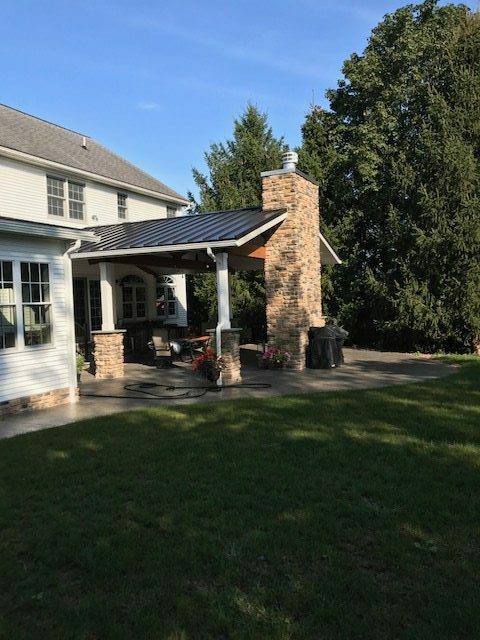 This addition to the home was completed recently and features an outdoor fireplace, sitting area and new roof. In the pictures below, this new custom designed home was also completed by T-Ross Brothers Construction. Landscaping is underway on the land surrounding this beautiful new home. T-Ross Brothers Construction can design and build the home of your dreams. The post Residential projects wrapping up in Lewisburg appeared first on T-Ross Brothers Construction, Inc..